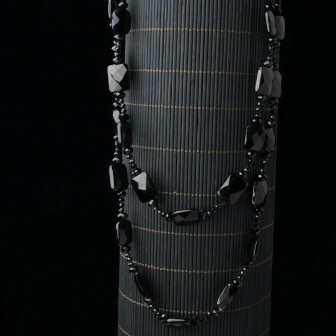 Cut and polished black onyx, this necklace is truly reminiscence of the Art Deco era. So clean with it’s geometric and graphic elegance. A continuous piece, it measures 52 in. Layer it with our multi strand matching necklace and earrings.